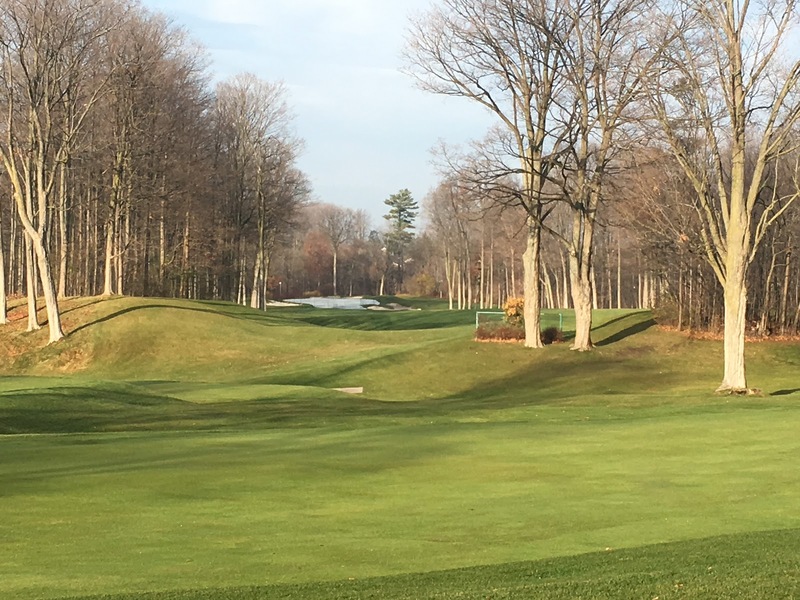 Westmount Greens Department: Another One in the Books! 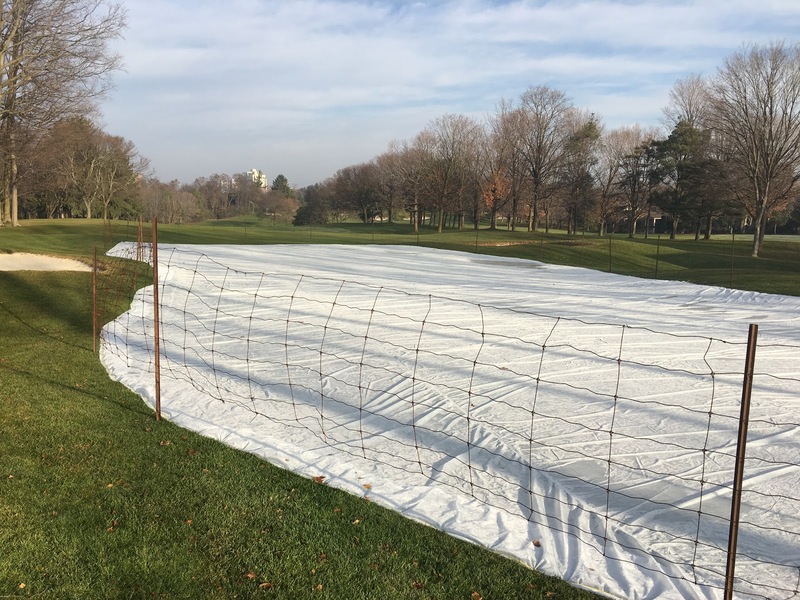 We have finished up all of our fall tasks and the course has been put to bed in great condition. 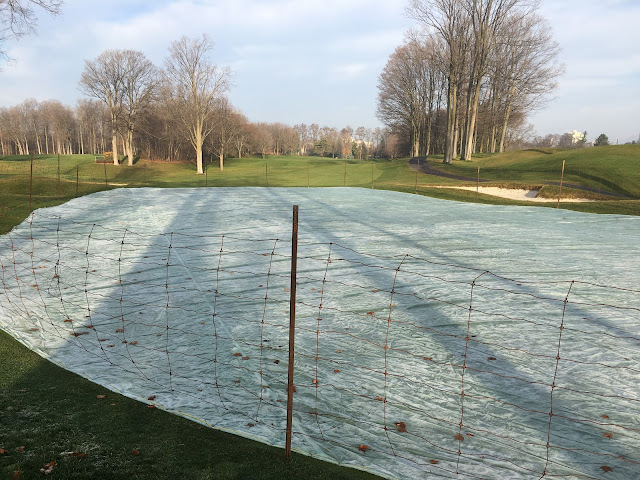 The drill and fill was particularly exciting for us and we added about six tons of sand per green. They certainly felt firmer after they were cleaned up and we are looking forward to seeing how they perform in the spring. 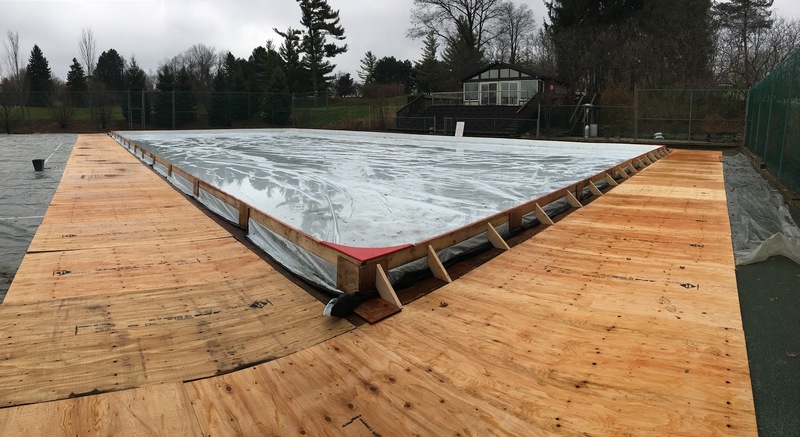 We are once again building a rink on the tennis courts for skating and shinny. Hopefully we have better ice making weather this winter. On behalf of all the green staff we hope you enjoy the holidays and have a great winter! Let's hope for a gentle winter for our turf and a quick start in the spring. Great job this year Cory....the course played challenging as expected and was always in pristine condition....Thanks to you and your team.